Alice In Chains are streaming a preview video clip of their new single, "The One You Know", ahead of its full release on May 4. The tune will appear on the forthcoming follow-up to 2013’s “The Devil Put Dinosaurs Here”, which is expected to be issued later this year, with further details to be announced soon. “The Devil Put Dinosaurs Here” debuted at No. 2 on the US Billboard 200 upon its release in 2013. The Seattle rockers recorded their sixth studio album at Henson Studios in Los Angeles with Nick Raskulinecz. 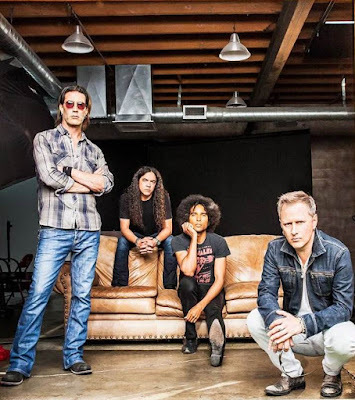 Alice In Chains opened their 2018 tour at the House Of Blues in Boston, MA on April 28. The group’s current 3-week, 15-show spring run of North America mixes headline dates with festival appearances including slots at Charlotte’s Carolina Rebellion, Wisconsin’s Northern Invasion and Ohio’s Rock On The Range. UPDATE: The full video for "The One You Know" has been released and can be seen here. © 2010 - 2019 hennemusic. Powered by Blogger.